A real must have item, which conforms to industry EN14404 standard. These pads are lightweight, yet tough and are made to fit all Dickies coverall and trouser pouches.There is one pair of knee pads per pack. ONE SIZE ONLY. Suitable for any Dickies kneepad overalls or kneepad trouser pouches. 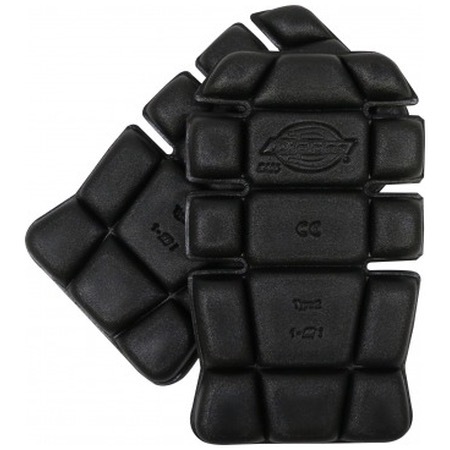 Flexible cushioned knee pad to fit all Dickies coverall or trouser pouches. Vital protection for anybody spending time on their knees.